Growling is one of the many ways dogs communicate, and it’s important for humans who interact with dogs to understand what it means and the proper way to react. You might be surprised by your own natural ability to interpret growling. In a study on humans’ ability to understand dog growls, most people were able to correctly distinguish through audio between a playful growl, an aggressive growl of a dog guarding food, and a fearful growl from a dog being approached by a stranger. This ability to understand growls was stronger in people who regularly interact with dogs. Like communication with humans, the vocalizations that dogs make can express different meanings, emotions, and desires. Here are what the different types of growls mean and ways you can react once you understand them. Dogs can be very expressive during play sessions, and their growls may sound frightening, especially to inexperienced dog owners. Your pup might growl at humans when playing tug-of-war or games that involve roughhousing, or they might growl at other dogs when wrestling or chasing. High-energy play is a good thing, and the growls are nothing to worry about. Pay attention to body language. If you’re new to dog ownership, attend a puppy socialization class or head to the dog park and watch how the dogs interact. This will help you distinguish between playful growls and fights. When dogs are play growling, there’s no need to worry. However, if you observe that the growls are getting more intense, you may simply wish to stop play for a while until things calm down before resuming. Take a break. 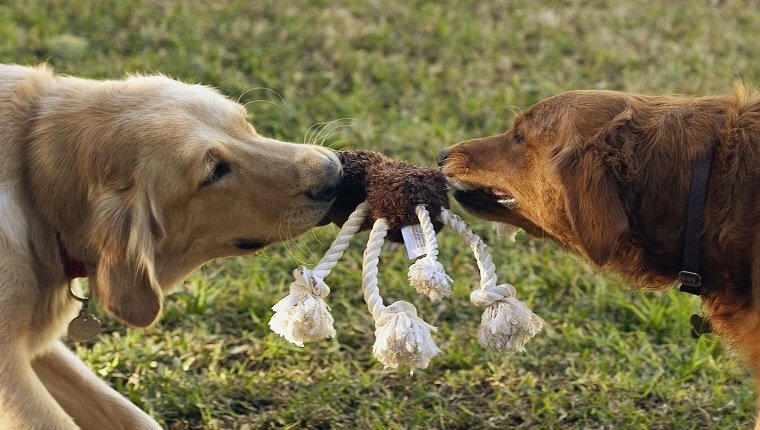 If your dog is playing with another dog, separate them for a few minutes. Once the energy winds down, you can start to play again. This will help you make sure that play growling doesn’t become fight growling. Some dogs growl as a sign of affection or contentment. Your pup might emit low growls when you pet them, for example. It may sound something like a louder version of a cat’s purr. They can also growl as a sign that they want more affection. Body language will be loose and relaxed, and it may even sound like your dog is trying to say human words to you. In general, affectionate growling is nothing to worry about. It’s usually only a problem when people misinterpret it as aggression. If you know your dog does this, make sure that anyone petting them understands that it’s normal and not to be feared. 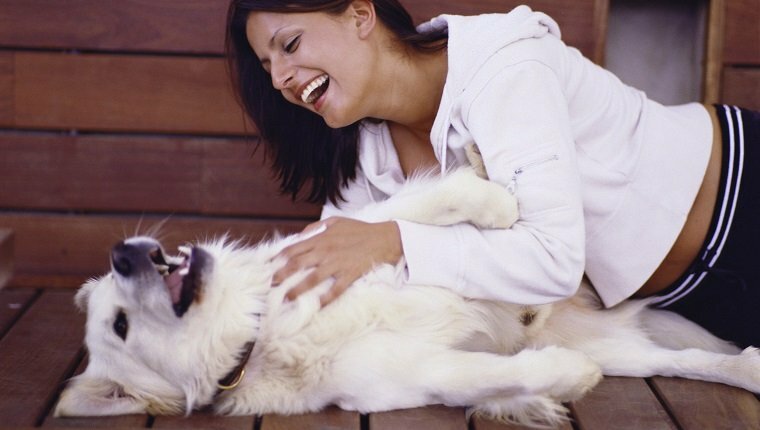 If your dog is growling and demanding too much affection, it’s likely a sign that they need more stimulation. 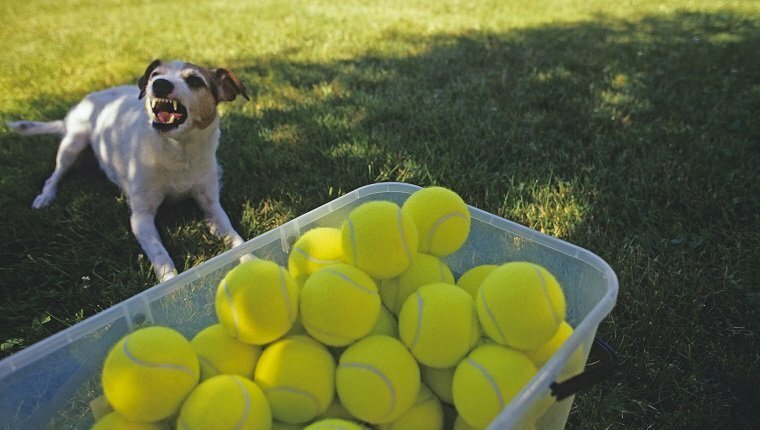 You can provide your dog with a toy to play with or try going for a walk and exercising more. A tired dog is a happy dog, and they will likely be less demanding of attention. Frustrated growling happens when some need or desire is not being met. This could mean anything from your dog being hungry and growling to remind you that it’s dinner time to your pup spotting another dog they want to get closer to and play with. This can often be misinterpreted as another type of growling. For example, if your dog growls at a skateboarder, it could be because they want to get closer and investigate or it could mean that they are fearful. Knowing the difference is difficult and will depend on how well you know your dog. Do they love to play with other dogs? Then it’s likely that they are frustrated growling at a dog they can see but can’t approach for play. This type of growling can be problematic. 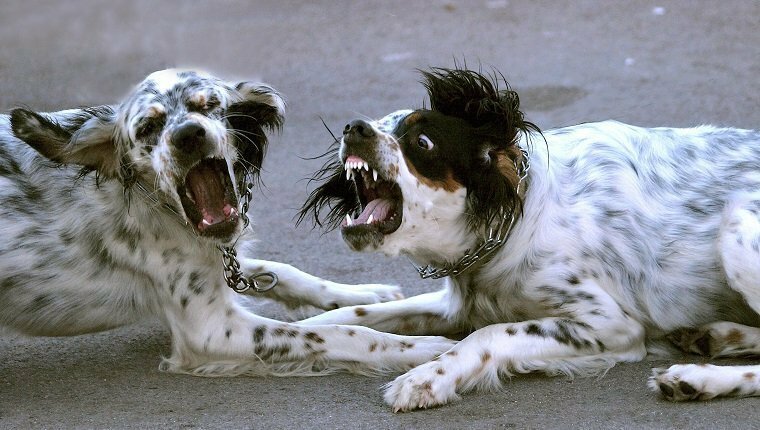 If your dog approaches another dog while frustrated growling, it can be misinterpreted as aggression and lead to a fight. They may even bite or nip out of over-stimulation. Reducing this frustrated tension requires obedience training. You may need to seek a professional trainer or educate yourself on how to ease your dog’s reaction when they don’t get what they want right away. The goal of fearful growling is to put distance between the dog and the threat. The fearful dog doesn’t want a fight, so they are trying to menace the threat so it will leave. This often happens when dogs meet strangers or when other dogs or animals appear in their territory. Fearful growls usually start low with a closed mouth, stiff body language, and no breathing. From there it can build to a snarl with teeth exposed if the threat hasn’t left. The fearful growl can be very concerning, and without intervention between the dog and the perceived threat, there’s bound to be conflict. The first step for you as the human is to identify the stressor that is causing the dog to growl. Remove it if possible. If you’re on leash, move to an area that is out of sight of the threat. Next, you may wish to start behavior modification. If your dog is afraid of strangers, try some socialization. If your dog is food guarding, consider consulting a behaviorist. Try to eliminate as many anxiety causers in your dog’s life, and use training techniques to reduce fearful responses. Aggressive growling is somewhat the opposite of fearful growling. 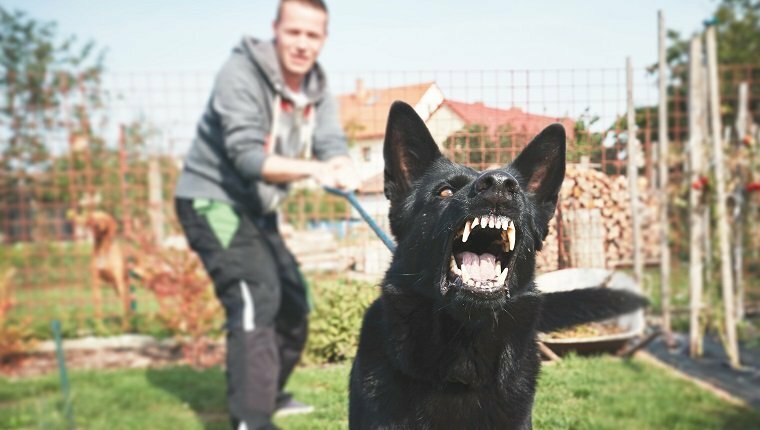 Where a fearful dog wants to put distance between themselves and the threat, aggressive growling means a dog wants to reduce distance and attack. When they’re with other dogs, this may mean they wish to show dominance or fight. Some dogs have a high prey drive and want to attack another animal with the intent to hunt and kill. Body language may be stiff, and you’ll likely see snarling and teeth bared. This will likely be accompanied by lunging or bolting. A dog who is aggressively growling is dangerous. They intend to fight and do harm. If you are on leash, immediately leave the area. Get professional training advice. An aggressive dog will attack and inflict injuries, which can also lead to legal action and possible euthanasia. Don’t risk the safety of your dog and others by allowing aggression to continue. Fight growling may be the most frightening to hear. It’s important to know the difference between play growling and fighting. When play becomes too aggressive or a dog hasn’t been socialized and learned to show restraint in play, it can lead to a fight. Knowing the difference between these growls will help you stop the situation before it escalates. A good part of this is knowing body language. Signs of playfulness include a play bow where the rear end sticks in the air while the head bows down, a relaxed, open mouth, exposing the belly, and a desire to keep going back for more play. Signs that it’s a fight include raised hair on the back, a closed mouth with curled lips, pinned ears, and one or both of the dogs trying to get away without the desire to return. The best way to avoid this is to prevent a fight before it starts. Know the signs of aggressive growling and leave the situation before the dog has a chance to attack. Know the signs of playful growling and when it has gone too far. Take breaks during play to let the energy calm down. 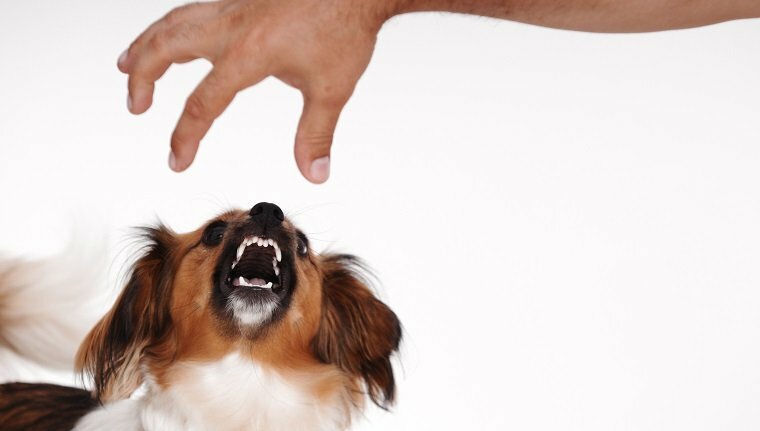 If the worst happens and your dog is engaged in a fight, there are multiple techniques you can use to break it up, but you should have a good understanding of what your dog’s growls mean so that you can prevent it from happening in the first place. Dogs may growl when they have an illness or injury that is causing them pain. You may notice this especially when you touch a certain part of their body, or they may not want to be touched at all for fear of causing further harm. The growling might get worse as you or your vet poke and prod to find out the source of the pain, and it can even be accompanied by nipping. 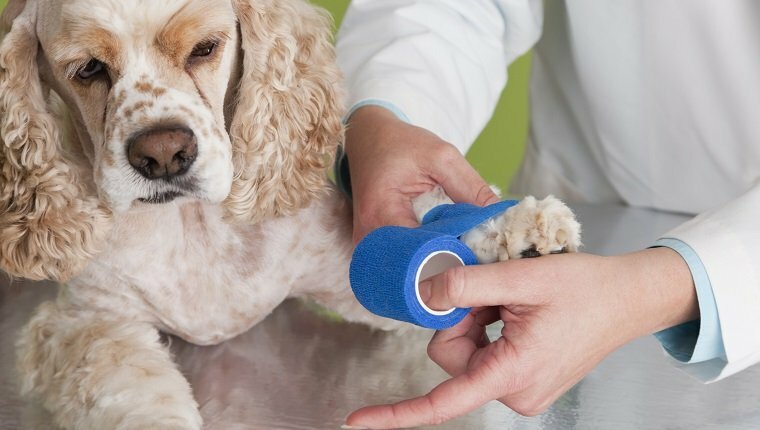 The best thing you can do is know the signs of pain in your dog and get to a veterinarian as soon as possible. They will be able to help determine the cause and do something about it. Trying to find out what’s wrong on your own can cause further fear and confusion in your dog, so it’s best not to take matters into your own hands with this one. Your pup is growling to tell you something is wrong, and it’s your job to do the responsible thing and help them out. What growls have you heard your dog make? 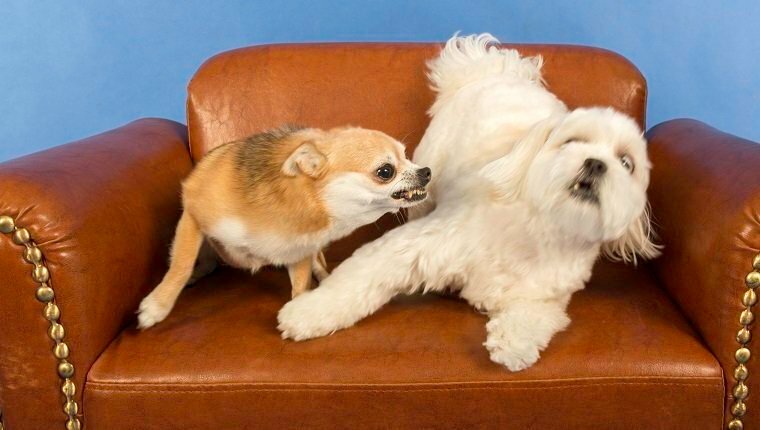 Do you feel like you understand your dog’s growls well? Let us know in the comments below!